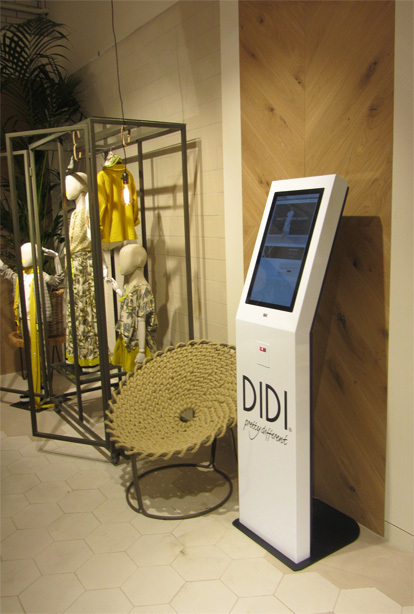 Fashion brand Didi opened its new webshop at the beginning of 2015. 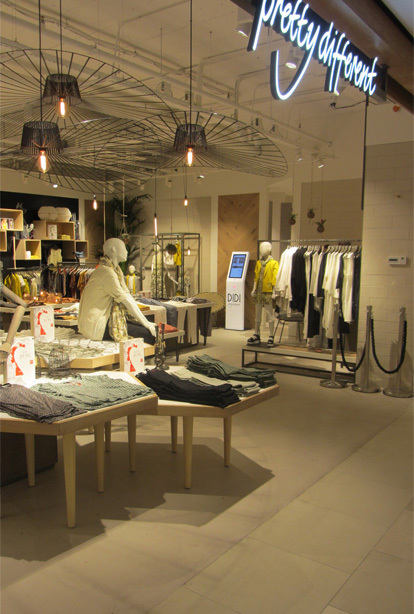 That also involved a new omnichannel strategy: clothes that are no longer available in the store can be ordered directly from the webshop, and the customer then pays for the entire order in one go. A welcome service for the customer, according to ICT manager Wilco Nierop. In partnership with diz Didi designed free-standing kiosks, and it is expected that they will be rolled out in all ninety branches from September. “We deliberately chose not to install a payment terminal in our kiosk. If a customer buys an item of clothing in our store and another item that is out of stock via a kiosk, we want to make it easy for them, so not paying at the till for what you buy in the store and paying at the kiosk for what you order online. Now customers pay the whole amount at once at the till, with one receipt for all the articles. diz really thought along with us in our discussions about the placement of a kiosk. For example director Bas Hillen recommended a screen in portrait mode; a “standing” screen. In this way you can show a lot more information on your screen, something we hadn’t thought of ourselves. We ultimately decided on a standard model, the diz1122, because of the price, but also because it simply meets our needs and other retailers have had good experiences with it. Our store staff also find it really nice to work with. “The great thing about diz is that they think along with you. During one of our meetings we suggested to diz that we place scanners in the spot where there are normally payment terminals. So if for example a blouse is no longer available in the store in the right size, then the customer can use the scanner and order the right size straight away at the kiosk. diz got down to work on this proposal straight away.